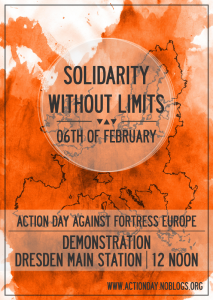 On February 6th, 2016 the Europe-wide action day „Solidarity without Limits“ against fortress Europe will take place. There is also going to be a nation-wide demonstration in Dresden. We want to use this day to strengthen the political solidarity with refugees throughout the world and to address the links between their reasons for fleeing and the European domestic and external policies. „To be solidary“ means to share other people’s goals in a certain situation and „to make them one’s own“ as well as supporting people in this situation without being directly affected oneself. Political solidarity means to deal with the societal processes causing the problem (also from one’s own perspective). Political solidarity means to take a stand, to not consider oneself as sitting on the sidelines, but to develop challenging standpoints together. Political solidarity entails active engagement towards emancipatory change of the current conditions. Over here, those, who had to leave their former homes to look for a better life in Europe, have to face a state apparatus sorting by usefulness — while it has itself been producing some of the causes of flight actively and fueling a racist atmosphere in society. Furthermore, this state apparatus has been determined to deny them the right to societal participation, physical integrity and self-realization. Political fights and movements, initiated by the refugees themselves, show opportunities for action against these political and social restrictions, such as the „March for Freedom“, numerous occupations of squares or demonstrations. Political solidarity, to us, means taking up these refugee struggles, supporting communication and organizing us together. We want to confront those, who still advocate death zones at the external European borders, burning accommodations and day-to-day racism! The EU with „world export champion“ Germany leading the way mostly acts as if the causes for flight and migration had little to nothing to do with itself, despite every supermarket and every clothing store symbolizing the opposite. Be it H&M clothes produced in Thailand, fish caught at the Western African shore or the natural resources for electronic devices of big companies — Western Europe heavily benefits from global capitalism. In return we deliver our technical junk, German cheap chickens and structural adjustment programs free into the states of the global south. Now as then, the capitalist mode of production leads to exploitation and relentless robbery of resources and thus (re)produces the (neo)colonial dependencies and power relations again and again. At the same time, attempts to break the dominance of the global north were and are repressed economically and militarily. In the past through violently crushing anti-colonial struggles for liberation, today through arms exports, free trade agreements, military interventions, support of dictators and authoritarian regimes or the militarization of the European external borders. The same mechanism is also working inside the EU, ruining southern European states through austerity measures and robbing people of their means of existence. The profiteers are treating the people, who have decided to flee the economic hopelessness, the political instability or the military conflict in their native countries, with razor wire, fences, bans from work, deportation or, as recently in Calais (France), with flooding the escape routes. Organizing Autonomy — Crashing Pegida — Time After Time! More collectively organized spaces are necessary to connect the several struggles in Dresden. Social centers, district centers and alternative centers are irreplaceable as sites of coming together, common organization and shelters for people with experiences of discrimination and exclusion. Given the social coldness inside society, common spaces are necessary, where refugees, homeless people, unemployed people, LGBTI  or antifascists can shape togetherness on an equal footing. Beyond that, perspectives for a better life for everyone become apparent most sharply by common political acts, negotiations of diverse interests, shared political decision making and handling conflicts. 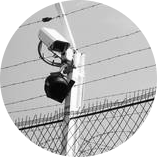 The call by the Pegida-initiators, to march around in a circuit every Monday, once more brought together a clientele, which had shown itself in the past in those moments, when parties, associations and other groups claimed more exclusion, state surveillance and seclusion. The „Republikaner“, the „Schill-Party“, the National Democratic Party of Germany“ (radical right-wing German parties) and others all had their time of prosperity in the past years, pulling dizzying election results, mass mobilizations and attacks on their opponents. Meanwhile, all those movements and parties frequently broke down — especially younger people could not imagine conditions as in the 1990ies until recently. But now Pegida has contributed heavily to a racist shift in discourse (not only) in Germany. On the one hand, this has made governing parties feel vindicated to tighten the asylum law and thus to turn the right to asylum (in effect already abolished years ago) into a mere farce. On the other hand, Pegida has boosted a neo-nazist scene, which apparently can go rioting in Heidenau or Leipzig or attacking refugees and their accommodations constantly, feeling legitimated by the angry mob. Yet dipping into the recent past also shows that racists, neo-nazis and sexists can be and must be cut down to size with persistence and determination! In this sense we invite you to Dresden on February 6th, to take a stand for transnational solidarity in Europe and beyond. Take to the streets and show what you think of fortress Europe! Don’t let Pegida pass without comment! 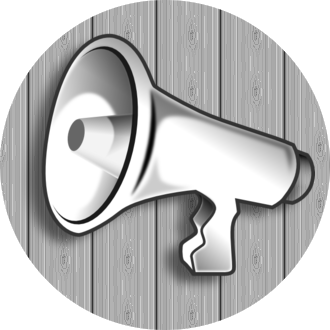 Participate in the demonstration actively, whether with flyers, banners or other creative actions! Against all camps, good housing for everyone! Global freedom of movement and unconditional right to stay, without exception! Organize antifascist self protection, confront Pegida and all the other fascists head-on! For one, two, many social centers! Access to societal wealth for everybody! LGBTI* stands for lesbian, gay, bisexual, transsexual/transgender and intersexual people or people with other genders or sexual orientations.